Cyprus is a comparatively young democracy with just 58 years of independent life. In this period both political and state institutions have struggled to find their place and a balance between them due to the political unrest before 1974 that culminated in the Greek-junta-led coup and the Turkish invasion that followed. Since then, the Republic of Cyprus (RoC), although operating without the Turkish Cypriots, it has developed a rather resilient cluster of state and political institutions that seemed to work relatively efficiently. However, the economic crisis and the changes affected after the 2013 bail-in revealed a number of shortcomings in their operation and the relations between them. These limitations and inefficiencies touch upon several aspects of their functioning; for example, issues of institutional culture, practices of clientelism that run through them, insufficient structures to cope with change and new challenges, relations between them, etc. All these have created several nests of tension between them. Moreover, the overall context within which politics take place in Cyprus in recent years has made it extremely difficult for institutional politics to continue performing as they did, i.e., unquestioned by the people and the media. People are very suspicious of politicians and political institutions in particular. Levels of trust in political parties, the government, the president and the parliament to name but a few are constantly very low. Other independent institutions such as the Attorney General, the Governor of the Central Bank and the General Auditor were until recently untouched by the criticism that swept the entire political system. These institutions were seen as bedrocks against inefficient, unreliable and often corrupt politicians and government officials, something like an oasis in a desert of inefficiencies, bad practices and corruption. However, this is changing. All the above-mentioned independent institutions are now caught in the wider crisis of legitimation. Independent institutions and more precisely the persons holding the offices, are now viewed as part of a wider political game with their own personal agendas, much like the politicians. To be fair, this perception is not unrelated to the fact that some of these independent officials clashed with other entrenched interests and institutions (e.g., part of the media, the civil service, the President of the Republic himself, etc.). This has made them a target for their practices from the media, politicians and government officials. It has also revealed that they could also have an agenda of their own since the control they exercise is sometimes seen as selective. Despite the fact that the motives behind the attacks against independent institutions might not be entirely noble in nature they do point to an existing problem: most of these institutions operate in an environment almost free of any type of control. This state of affairs is largely due to the fact that independent institutions derive their authority directly from the constitution which does not provide for effective mechanisms of accountability and control. Once they are appointed there are no effective checks and balances to their authority. However, there are public voices now calling for some degree of control and accountability for independent institutions. These voices became louder in recent months as Cypriot society witnessed a number of conflicts between the various institutions and on various grounds revealing the lack of checks and balances between them. This has created a sense of a generalized institutional crisis. For some analysts this institutional crisis is the outcome of the personal characteristics of the people holding the offices who vie for personal attention and a political career. However, a deeper look reveals structural inefficiencies, institutional shortcomings and a lack of a proper institutional culture of self and also mutual control. Whatever the reasons though, recent polls indicate that society has lost faith in the workings of our entire institutional detting which seems unable to respond the multifaceted challenges facing Cyprus in the aftermath of the economic crisis and the need to find a solution to the persisting Cyprus problem. The sense of a generalized crisis is also the result of a chronic impunity of those who brought the country on the verge of economic destruction. At the same time Cyprus faces an international outcry because of its questionable practice of providing Cypriot (and therefore EU) citizenship to wealthy people from countries outside the EU. This ‘citizenship industry’ not only brings Cyprus at the knife’s edge of foreign auditing authorities and international institutions but it is also seen by many Cypriots as a way for the political and economic elite to profit whereas the majority of the people faces a harsh time in their personal lives. All the above bring to the fore important issues of institutional and also political nature the most important of which is the need to develop an efficient system of checks and balances for all institutions and between institutions which is now lacking; this will allow them to work efficiently and restore the lost confidence of society in them. This entry was posted in Cyprus, Europe and tagged Cyprus on October 23, 2018 by Yiannos Katsourides. N. Anastasiades was reelected in the February 2018 presidential elections enjoying a strong majority over his opposition: 56% to 44%. 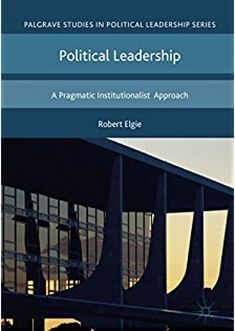 Following a very intense electoral campaign where all major policy issues were harshly contested, the result was thought to have given the current president space for implementing his policies both in internal affairs and the Cyprus problem. However, this assessment proved short-sighted and failed to grasp the complexities of Cypriot politics. Immediately upon his reelection and in a period of just five months the new government has been confronted with a number of problems that created an atmosphere of social turbulence. All these contested issues touch upon fundamental aspects of the government’s policy. Currently, these issues include the economy and the education system. Before these, it was the medical doctors of the public sector that collided with the government over the character of the health system on the island, whereas a couple months ago hundreds of environmental activists protested in various parts of the island against government decisions favouring big developments (skyscrapers) on the coasts of Cyprus, as well as in environmentally protected areas incorporated in the EU’s Natura 2000 network. In the economy, Cyprus experienced once again the fear of a bail-in, similar to that of March 2013; this time the focal point was the Cyprus Cooperative Bank (CCB). CCB has a 110-year history in Cyprus and is currently a large, systemic bank (the third largest bank in Cyprus). The CCB focuses on retail banking, serving some 400,000 Cypriots with more than 30% of the total deposits. Given the problems faced by this bank the government decided, back in September 2013, to inject money and put it under its total share capital control. Since then, it has become very obvious that the right-wing government of N. Anastasiades favoured the privatization of the CCB but was unable to do so in its first tenure because of the reactions of the opposition and other social actors. Eventually, and despite the opposition’s resistance, the government began the process for privatizing the CCB, while also making it clear that they preferred another local bank (Hellenic Bank) to take over. Some misguided (some say targeted) statements by government officials and rumours for a forthcoming bail-in unless the parliament authorized the privatization of the bank resulted in a bank run from the CCB. Withdrawals totalled €1.9 billion in the first three months of 2018. The deal, as it was negotiated, would have led to the Hellenic Bank acquiring the “good part” of the CCB (deposits and assets) and for the government to take over the “bad part” (i.e., the non-performing loans). This deal has generally been viewed as very favourable for Hellenic Bank, but bad for the Cyprus tax-payer. As pointed out by the press (and also the opposition), the deal could prove to be very expensive for the central government and ultimately for the tax-payer. The government issued Development Bonds totalling €3.35 billion to bolster the ‘good part’ of the CCB, raising the public debt to GDP ratio from 97.5% to approximately 120%. In addition, the government has agreed to protect the assets of the Hellenic Bank by providing guarantees which could eventually be very costly if exercised. Furthermore, the government has agreed to make redundancy payments to the 1000-plus employees of the CCB who are expected to be laid off as a result of the deal. Notwithstanding the positive vote that the (scant) majority of the parliament gave to the government’s bill on this issue, criticism has been very strong by most political parties (even those that supported the legislation). Most of the criticism has targeted the Minister of Finance whose resignation was demanded; the president and his overall economic policy was also targeted as one that favours big capital. A protest was also organized by a civil society group, the Movement Against Foreclosures, in the capital city of Nicosia and was backed by some of the opposition parties. And while the fire from this issue was still burning another one lit up. This time it was the teachers associations of primary and secondary education that protested against government decisions. Thousands of teachers, parents and students gathered outside the education ministry in the sizzling heat to demand the resignation of the Education Minister. The pretext for the row focused on a cabinet decision to abolish exemptions from teaching hours for trade union activities and extra-curricular activities, and fewer hours for teachers with many years of service. However, the teachers were quick to introduce wider issues relating to the overall government policy towards the pubic character of the education system in Cyprus. Protestors chanted ‘give up’ and ‘hands off education’ in front of the ministry. According to most sources it was the most massive demonstration held in Nicosia in recent years gathering thousands of protestors. The unions have threatened to strike in September if the problems are not solved. Demonstrations and opposition to government policies by various parties, unions and social groups reveal important underlying social tensions and show that the president has a difficult path to cross in his second and final term. His policies favouring a smaller state will probably be at the heart of discussions and it must be taken for granted that they will provoke strong opposition. With the negotiations for the Cyprus problem expected to resume in the fall, the government cannot operate in such a tumultuous environment. A more consensual approach will be probably sought in the forthcoming days and weeks. This entry was posted in Cyprus, Europe and tagged Cyprus, president, Presidnt on July 17, 2018 by Yiannos Katsourides. The 2018 presidential election in the Republic of Cyprus (RoC) saw the re-election of incumbent president, Nicos Anastasiades, although in more difficult conditions than five years previously. In 2013, he was elected relatively easily, riding the wave of anti-government feeling at a time of worsening economic conditions and intense critique of the former leftist government. In 2018, the situation was different in many respects. This included the fact that he had lost the backing of his former centrist ally (DIKO) and was supported only by his (rightist) party DISY and because of the standard negative effects of incumbency, particularly after some harsh economic decisions, notably the first ever ‘bail-in’ in the EU, which led to increased economic uncertainty and distress among the population. However, and despite the above, in last Sunday’s election President Anastasiades won 56% of the vote against 44% for Stavros Malas. This was a very similar result to the 2013 election when the same contesters polled 57.48% and 42.52% respectively. For many people, the result made it seem as if the previous 5 years had not taken place. In analysing the results and identifying the reasons and the consequences, this post must be read as a follow up from my previous post in which I analysed the context within which these presidential elections took place. The issue in the first round was centered on who would face Anastasiades in the second round and whether there would be any room for cooperation between that candidate and the candidates and parties who failed to qualify. In the end, Malas and AKEL polled 30.24%, which was a lot more than anticipated. Therefore, Malas and AKEL were among the definite winners of the first round. The first round had another winner though: the extreme right candidate Christos Christou, the leader of the extreme neo-Nazi party ELAM, who polled 5.65% (up from the 3.7% that his party scored in the 2016 parliamentary elections). Anastasiades, though coming first, scored 35.51%, which was much lower than expected. He can, therefore, be ranked among the losers of the first round. However, the definite loser of the first round was Nikolas Papadopoulos, who campaigned mostly on the Cyprus problem and who polled 25.74% (approximately 6% down from the total sum of the aggregate vote of the four parties that supported him). The latter seemed to be an indirect indication that the majority of the voters still support the bizonal bicommunal federation as the most acceptable solution to the Cyprus problem. Abstention reached 28.12%, almost 10% up from 2013, showing that it is a structural feature of Cypriot electoral behaviour, while at the same time it has not reached its ceiling. Exit polls revealed that abstention was much higher among younger cohorts. The second round revealed an entirely different setting. There, Anastasiades cruised to victory by a clear margin. Although abstention was a little lower than the first round (26.03%), it was still high by Cyprus’ usual standards. More worryingly, the president-elect was actually voted in by a minority of the electorate. Abstention excluded, Anastasiades’ polled 39.1% of the electorate compared to his 43.4% in 2013 and Christofias’ 44.6% in 2008; these figures do not include those who did not register to the electoral lists, or approximately 30,000 people. Anastasiades’ election can be explained by a variety of factors. The include, first, the fragmentation of the opposition. They won a majority in the first round, totalling approximately 65%. However, its different constituent parts could not strike an agreement for the second round. This placed Anastasiades in an advantageous position allowing him to maneuver effectively. All the parties and candidates who failed to qualify for the second round decided to support neither of the remaining candidates, which was arguably more damaging to Malas. Second, Anastasiades’ narrative focused on the need to continue a cautious policy with regard to the economy but a decisive attitude with regard to the Cyprus problem; this combination seemed to appeal to voters more than the narratives of his major opponents, Papadopoulos and Malas. Papadopoulos’ new strategy on the Cyprus problem was ambiguous and unclear, thus causing anxiety and uncertainty, whereas Malas’ association with AKEL reminded them of Christofias’ presidency which was judged as bad, particularly in the economy. Both candidates failed to produce and present a convincing, coherent and applicable programme to the voters. A third reason lies with Anastasiades U-turn in regard to the Cyprus problem in the last few months. The president adopted a more hard-line position, projecting himself as the only candidate who could assertively defend Greek Cypriots’ rights at the negotiation table. This U-turn enabled him to reach out to the more nationalist voters of his own party (DISY) who had considered him too soft towards the Turkish Cypriots and also of other center right and right-wing parties. The nationalist portion of the electorate in Cyprus remains high and this U-turn proved decisive. The elections revealed interesting insights with regard to Cyprus’ political and party system, indicating mixed signs of change and continuity. Signs of change have been evident for some time now. Partisan attachments are fading away with younger generations not feeling bound by their families’ choices. Cyprus has been experiencing a process of dealignment for a few years now, but without any realignment except in the case of the extreme right ELAM. Interestingly, their party leader achieved a bigger percentage in the presidential elections (5.7%) than his party did a year and a half back in the parliamentary elections of 2016 (3.7%), which is something that he could potentially capitalise on in the near future. However, increased abstention, protest voting and citizens’ dissatisfaction with the overall workings of the political system indicate the existence of a political vacuum in which new organizations, movements and/or parties could enter. Another interesting new feature of this election which might be revealing for the future was the inability and unwillingness of political parties to reach agreements and make alliances with each other. This was the first time in Cyprus’ presidential election history that candidates and parties did not seek an agreement between the first and the second round. This was justified by their wish not to water down their positions. This was well-received by part of the media and their supporters, but it could also be a sign of their inability to reach a consensus. Moreover, the intense and polarized confrontation between most of the parties, as well as their divergent positions on several dimensions of party competition shows that most opportunities for cooperation have been severely damaged, which in turn points to the difficulties ahead for the president. The parties that populate the space between the leftist AKEL and rightist DISY have declared their intention to further enhance their cooperation beyond the mere joint support of a common presidential candidate. Their intention is to create a powerful ‘third pole’ in the party system that will pursue power and policies autonomously. Although this is a difficult task to achieve, given their different political and personal agendas and their internal problems, if they do succeed it could change the nature and format of party politics in Cyprus given the fragmentation of the centrist political space hitherto. At the same time, it will place significant pressure on the new president since he will face harsh opposition from two discrete blocs (left and center). Signs of continuity are also evident particularly with regard to the effects of bipolarism (left and right). The mainstream parties of both left and right, AKEL and DISY, continue to dominate their respective political spheres and have proven their endurance despite their problems. In this regard, the ‘old’ party system has once again proven powerful enough to absorb the shocks and survive. What is the future for the president elect? It has been pointed out by many commentators that the president will immediately face numerous challenges and will not benefit from any honeymoon period. These challenges include, inter alia, the possible resumption of the negotiations over the Cyprus problem, difficult decisions in the economy (e.g., privatizations, seizure of properties by the banks and many more), the developments with regard to Cyprus’ natural gas deposits, etc. All these decisions must be made in the context of a polarised and hostile environment, particularly in parliament where president Anastasiades does not enjoy a majority anymore. Although Cyprus is a presidential democracy, the president nevertheless has to achieve consensus or at least a majority in many bills. Both AKEL and the parties of the so-called middle space have declared their intention to oppose the president on all fronts. Achieving consensus will be increasingly difficult from now on. Overall, President Anastasiades has to walk a very thin line. He was voted in with 21,000 votes less than in 2013. More importantly, 335,000 voters did not vote for him (143,401 who abstained, 12,173 blank votes, 10,778 spoilt ballots, and 169,243 citizens who voted for Malas) compared to the 215,281 who did vote for him. To ignore this arithmetic would be a huge mistake, particularly on high salience issues such as the Cyprus problem and the economy. Moreover, he can no longer blame the previous government. This entry was posted in Cyprus, Europe and tagged Cyprus, presidential election on February 7, 2018 by Yiannos Katsourides. In less than two weeks’ time, the people of the Republic of Cyprus (RoC) are going to the polls for the 12th time in Cyprus’ presidential electoral history to elect the 8th president of the Republic (the first elections were held in 1960 when Cyprus gained its independence from Britain). As already mentioned in a previous post, five major candidates will contest the elections with a clear favorite to win: the current right-wing president Nicos Anastasiades. In this short post, I will try to summarize the most basic things that one has to bear in mind with regard to the forthcoming presidential elections in Cyprus. 1. The first round of the elections is scheduled for 28 January 2018 and if a second round is needed (almost certainly), this will take place on 4 February. 2. The President of Cyprus (Greek Cypriot by constitutional provision) is the highest authority in the country with very strong powers in his/her possession, unmatched in any other country of the EU. The president is both head of state and government. The only check on the institution’s power was the Turkish Cypriot vice-president as was envisaged in the London-Zurich agreements that established the Republic of Cyprus (1959-1960). However, the withdrawal of Turkish Cypriots from all state and government institutions in 1964 following inter-communal clashes and the subsequent Turkish invasion in 1974 mean that the president has concentrated all powers in the office. 3. Presidential elections are held every five years under a majoritarian two-round system, i.e., a successful candidate needs to receive a majority of the votes to be elected. With some exceptions, the rule in Cyprus is that a second round is needed to determine the president. 4. Given the majoritarian system and the absence of a dominant party that has more than 50% support on its own, all political parties and candidates try to strike bargains between them, particularly after the first round has ended. 5. In the past, presidents from all ideological currents have governed, including the self-declared communist AKEL (2008-2013), rendering the elections a matter more of political efficiency than ideology. Cyprus’ EU membership also limits the space for competition based on ideology and clearly distinct between policies and elevates issues of transparency and corruption on the agenda. 6. All types of elections in recent years have been held under conditions of extreme popular discontent towards political actors and very low levels of trust in them. This election is no different, particularly following the 2013 bail-in that saw a significant haircut in bank deposits of many Cypriots and the collapse of the powerful banking system of the country. 7. Apart the current president who is running for re-election (supported by his own party, the right-wing DISY), the other four major candidates are: N. Papadopoulos, president of DIKO and who is supported by an alliance of four parties (center-right DIKO, center-left EDEK, Solidarity Movement and the Greens); S. Malas, an independent who is supported by the left-wing AKEL; G. Lillikas, president of the Citizens’ Alliance; and C. Christou, president of the extreme right National Popular Front-ELAM. 8. The electoral strength of the major parties is as follows: the right-wing Democratic Rally (DISY) 30.69%; the left-wing Progressive Party of the Working People (AKEL) 25.67%; the center-right Democratic Party (DIKO) 14.49%; the social democrats EDEK, 6.18%; the right-wing, nationalist Solidarity Movement, 5.24%; Green Party, 4.82%; Citizens Alliance, 6.01%; and the extreme-right ELAM, 3.71%. Based on these figures alone and bearing in mind which candidates the parties support, it is likely that that N. Anastasiades and N. Papadopoulos are the favorites to progress to the second round. However, one plus one does not always equal two in politics. 9. It was thought that the inglorious conclusion of the discussions for finding a comprehensive solution to the Cyprus problem between the leaders of the two Cypriot communities last July would dominate the campaign. However, the polls indicate that most people are primarily concerned with the economy, with the Cyprus problem coming second. Issues of corruption are also significant in these elections. 10. Programmatic discourse has been de-emphasised during the campaign. This has been complimented by a move towards the personalization of politics and electoral campaigns; this trend has been under way in Cyprus generally in recent times and is not confined to this electoral campaign. Most polls indicate that the personality of the candidate and not party affiliation will play the most crucial role in the voter’s final decision. In turn, this trend enhances the role of the leader at the expense of the party organization. Additionally, the majority of the polls also reveal voter choice is based on whom they perceive as the least bad among the candidates and not the best option. 11. Abstention is expected to reach the highest ever level in any presidential election. In the last presidential elections abstention rose to almost 20% in the second round (17% in the first) and is now expected to climb further. Moreover, approximately 30,000 of the eligible 40,000 voters did not register until the deadline of 18 December 2017; the vast majority of them being persons under the age of 22, which shows an aversion of young people to politics and adds to the abstention rate. 12. The campaign thus far, and with no indication of change going forward, has been one of a Hobbesian ‘war of all against all’. This is particularly true for the three main candidates, Anastasiades, Papadopoulos and Malas. Accusations are exchanged constantly and on a daily basis between them, as well as between their supporting parties on all issues. For example, Lillikas indirectly accused Papadopoulos of offering him money and public office to withdraw his candidacy and support him. On another occasion, all candidates demanded that the president replace his minister of interior because of his partisan behaviour and partiality while being responsible for the organization of the elections. This polarization between the candidates, in turn, questions their ability to form alliances at the second round and arguably places the strongest candidate (N. Anastasiades) in an advantageous position since the bridges between Papadopoulos and Malas and the parties supporting them seem broken. 13. President Anastasiades has focused on three issues that are believed to be his strongest assets: his strong personality and authority; the fact that he improved the economy, successfully guiding the country’s exit from the memorandum and the crisis; and his ability to strike new and also enhance old international cooperation agreements with neighboring countries. Papadopoulos has highlighted his new agenda/strategy for disengaging from former presidents’ concessions with regard to the Cyprus problem; his reliability with regard to the economy; and his ability to act as a unifying figure between several parties. Malas has campaigned on the freshness that his candidacy brings to political life, and that has no links to the corrupt political and party system. He has also tried to stress the independent status of his candidacy vis-à-vis claims that he is nothing more than AKEL’s puppet. 14. If we believe the polls, President Anastasiades is favorite not only to win through to the second round but also to win at the second round, regardless of who stands against him. The polls suggest that N. Papadopoulos stands a better chances than S. Malas in a possible second round with N. Anastasiades. However, if Anastasiades were not to win, it would not be the first time in Cyprus that the polls got it wrong. 15. Given the belief that N. Anastasiades will win the election, the most significant issue in this election campaign is who will win through to the second round with Anastasiades. This raises the stakes for AKEL as a party and N. Papadopoulos as a person. Both AKEL and Papadopoulos face significant blame-gaming if they fail to win through. 16. The day after the election matters primarily with regard to the new president’s stance on the Cyprus problem and less on his economic policies. The latter point connects the presidential elections in the RoC with the ‘parliamentary’ elections held just a few days apart in the northern, occupied part of Cyprus; these elections took place a few days earlier (7 January 2018). While the elections did not concern the new leader of the community, they were crucial with regard to the parties’ results and their positions both regarding the Cyprus problem and relations with Turkey. A first reading of the results reveals tricky times ahead, since the political parties of the right that are more sceptical and more hardline regarding the Cyprus problem and more receptive of Turkey’s wishes and demands won a majority amidst increased abstention. This entry was posted in Cyprus, Europe and tagged Cyprus, presidential election on January 16, 2018 by Yiannos Katsourides. The inglorious conclusion of the discussions for finding a comprehensive solution to the Cyprus problem between the leaders of the two Cypriot communities last July and despite the personal involvement of the UN Secretary General has set the context for the campaign for the forthcoming presidential elections in the Republic of Cyprus (RoC). The first round of the elections is scheduled for 28 January 2018 and if a second round is needed this will take place on 4 February. Interestingly, the elections were brought forward by two weeks because they overlapped with one of the most popular public feasts in Cyprus, probably the most popular, the carnival, and amidst fears for increased abstention because of that. Four candidates have already announced their candidacy and it is expected that at least two more will join them: the current right-wing president N. Anastasiades, former president of the right-wing Democratic Rally (DISY), who is supported by DISY (30.69%); N. Papadopoulos leader of the Democratic Party-DIKO (14.49%), who is supported also by the social democrats EDEK (6.18%) and the Solidarity Movement (5.24%), while the Greens (4.82%) are also expected to support him; S. Malas supported by the left-wing AKEL (25.67%), the former governing party; and G. Lillikas president of the Citizens Alliance (6.01%). The extreme-right ELAM (3.71%) is also expected to place an independent candidacy, whereas the press reports that the Rector of the University of Cyprus is also considering running in the elections appealing to the non-partisan voters and those that systematically abstain and who comprise a large section of those entitled to vote. As already explained in previous posts, the presidential system of Cyprus requires alliances between the parties to win election. These alliances have been shifting constantly. Although three of the four candidates (except Papadopoulos) also ran in the 2013 elections, in these elections the pattern and dynamics of alliances have shifted once again. In 2013, President Anastasiades was supported by two other parties beyond his own party DISY (DIKO and the right-wing European Party) which have now plead allegiance to N. Papadopoulos; G. Lillikas was supported back in 2013 by EDEK which is now supporting Papadopoulos and a large part of DIKO voters that disagreed with their party’s endorsement of Anastasiades at the time, whereas Malas is again supported by AKEL as in 2013. In 2013 the left-wing AKEL and Malas were in a very disadvantageous position having to defend a government that the people believed was the worst in the history of the Republic. Anastasiades, in 2013, was seen as the leader that could both solve the Cyprus problem and more importantly lead Cyprus out of the economic crisis. These elections will be contested on two major issues – the Cyprus problem and the economy – around each of which conflicting narratives are presented by the candidates and their supporting parties. After falling back on the agenda for the first time in the electoral history of Cyprus, the Cyprus problem is expected to dominate political discussions once again. A resurfacing of the 2004 cleavage between pro-solutionists and the more hard-liners seems to have resurfaced in the last few months, with citizens, the press and political parties once again taking sides in hotly contested public debates. The current president N. Anastasiades is considered the favorite to win reelection. However, he finds himself in the middle of crossfire. Anastasiades is targeted both by the pro-solution camp and the more hard-liners. The former accuse the president of missing a great opportunity to reach a solution to the long-standing ethnic conflict because he was already thinking about the elections ahead and because he knew that the more nationalistic part of his party’s electorate and the entire populace would never endorse a solution that provided for power-sharing with the Turkish Cypriots. The more hard-liners accuse the President of completely yielding to the demands of Turkey and the Turkish Cypriots and that the only reason an agreement was not reached was because Turkey wanted even more. The prominence of the Cypriot problem, however, does not mean that the economy will play no part; on the contrary. While Cyprus’s economy is now more stable than in 2013, unemployment is still high, many people are in need of public allowances and the conditions in the labour market have worsened for the working class. Two opposing narratives are already developing. The government and DISY support that the idea that the economy is now entering a phase of stability and growth, whereas the opposition parties and candidates accuse the government of numerous scandals, favouritism towards the big capital and ephemeral growth. The most crucial aspect of this election campaign concerns the degree to which parties and candidates will succeed in convincing their supporters to go to the polls. As recent elections indicate, a process of dealignment is taking place whereby the electorate is now more suspicious of parties and more volatile than ever before; a quicksand! This entry was posted in Cyprus, Europe and tagged Cyprus, presidential election on September 26, 2017 by Yiannos Katsourides. The Zurich-London agreements that established the Republic of Cyprus (RoC) in 1960 and the Constitution of the RoC contain provisions for the establishment of a presidential regime with a Greek Cypriot president elected by Greek Cypriots and a Turkish Cypriot vice-president elected by Turkish Cypriots. The executive power was vested in the Greek Cypriot president and the Turkish Cypriot vice-president, both enjoying veto power in three particular policy areas: external relations, security, and defense. Veto was designed to create a balance between the two communities and to ensure that no community would enforce its position on the other. However, as early as in 1961 the balance was brought into question and led to repeated constitutional blockages. Each party used its right of veto to block the propositions of the other party. Following numerous deadlocks and after increased intercommunal tension, in 1964 the Turkish Cypriots left their posts in the governing and state institutions. In order to keep the newborn Republic running, the House of Representatives – consisting only of Greek Cypriot members – enacted legislation (the law of necessity) that allowed the state and the government to continue their operation. In this way the President assumed all the powers of the vice president and has had very few checks on his authority ever since. Beyond the full right to veto legislation on a range of issues, the Greek Cypriot president of the RoC has the right to return a bill back to the House for reconsideration and/or the right to refer legislation to the Supreme Constitutional Court. Given the peculiar political conditions of the RoC with the political problem still unresolved, all presidents have been very cautious in using the right of veto. In actual fact, veto power was never exercised by any president. This was mainly due to political reasons, in order to fence off criticism that they utilised powers designed and intended for other purposes and so that they could not be accused of abusing the powers vested in a bicommunal state. Presidents have confined themselves to the other two tools provided by the Constitution, most often on occasions when the legislature interferes with executive responsibilities and when it inflicts added cost on the state budget. It is worth noting that the Supreme Court usually vindicates the President’s view of referred bills. Both of these tools have also been used with cautious, not least because the parliament rarely questioned the executive’s authority. In view of recent developments in the Cypriot political system whereby the House of Representatives and the political parties have utilised certain powers that they have never used in the past, openly challenging the president’s authority could have significant consequences on the ability of the government to pass legislation. In response, the Presidents have also used their arsenal of powers and have resorted to the two tools provided by the Constitution. In the last few months the President of RoC, N. Anastasiades, has returned to the House of Representatives or referred to the Supreme Court a number of legislative bills. For example, in May 2016 a total of 16 bills on a variety of issues that were passed by the House just a few days before its self-dissolution before the parliamentary elections were either referred to the Supreme Court or returned to the House; an indication of how politics is increasingly mediated by law activism. Most recently, a bill regarding the commemoration of union with Greece (enosis) was also referred to the Supreme Court. This particular bill was earlier voted by the opposition parties except the left-wing AKEL (the governing right –wing DISY abstained) and provoked the immediate and intense reaction of the Turkish Cypriot leader leading to a two-month pause in the negotiations for the solution of the Cyprus problem. Reactions were also intense in the RoC by AKEL and various pro-solution activists. In trying to find a solution, the governing DISY proposed legislation that gave the Education minister the power to decide which historical or other events would be commemorated in public schools. The bill was voted by the AKEL MPs and was thus passed. However, the president referred the bill to the Supreme Court. The government said that he did so on the advice of the attorney-general who said that it probably clashed with the provision on the separation of powers in the constitution. AKEL said the president’s decision to refer the law to the Supreme Court raised reasonable questions: for example, why did he not consult with his own party before the latter submitted the bill, pointing to a highly politicized decision in view of the forthcoming presidential elections in February 2018. The decision to refer this particular bill to the Supreme Court highlights three important points which necessitate further analysis. First, issues of history continue to inform today’s political situation and thus affect the course of the negotiations re the Cyprus problem among others. Second, blocking the passage of governing bills by parliament could have long-term effects and ultimately change the balance of power between the executive and the legislature. Third, there is a current trend in Cypriot politics to increasingly involve the courts and the Attorney General in political decision-making processes, which begs questions about the nature and scope of politics. This entry was posted in Cyprus, Europe and tagged Cyprus on June 8, 2017 by Yiannos Katsourides. Cyprus – Can a rotating presidency and cross voting change the rules of the game? The current constitution of the Republic of Cyprus (RoC) provides for separate political representation between Greek and Turkish Cypriots – the two major communities of the island; a direct effect of British colonial legacy. This is vividly reflected in presidential politics where the constitution stipulates that the Greek Cypriots (GCs) elect the president of the country and the Turkish Cypriots (TCs) the vice-president. The cabinet, according to the constitution, comprises 10 members: the GC president appoints seven GC ministers and the TC vice-president appoints three TC members. Between them, the president and the vice-president share all vital political powers, including the right of veto as a means to maintain the balance between the two communities. The veto was particularly designed to safeguard the TC community from majoritarian decisions taken by the Greek majority, but it proved to be a constant source of problems and tension. In the short and turbulent period that the RoC actually functioned – from 1960 to 1963 and before the TCs withdrew from the state and government institutions in 1964 – the two communities remained totally independent/separate from each other at the political level. The 10-member cabinet functioned on a purely communal basis: the GCs acted solely on the basis of their community interests and the same did the TCs. The possible consequences of the cabinet members’ decisions upon the other community incurred no political cost for them since their selection did not depend upon voters from both communities. In the contrary, polarization and political competition with the ‘others’ solidified further their political presence. As a result, the Cypriot political and power system practically rewarded intransigent and extremist approaches, political forces and politicians and made division between the two communities an inherent feature of the political system and particularly the executive branch. Following the Turkish invasion of July 1974 numerous rounds of negotiations between the leaders of the two communities did not manage to reach a solution to the problem of Cyprus’ de facto partition. Moreover and throughout the long history of the negotiations, the leaders of both communities never questioned this divisive provision for political representation, thus prolonging a past practice of separation. However, this changed in 2010 when the former leaders of the two communities achieved a consensus for a comprehensive system of political representation based on two axes: a rotating presidency between the elected leaders of the two communities and cross voting between the two communities for a first time in Cyprus political history. The aim behind this proposal was to eliminate a basic source of conflict within the system of representation and particularly the executive, which was a crucial – but not the sole – reason for the ineffectiveness of the existing constitution. The proposed formulae represents an effort to disconnect the vote from solely ethnic criteria and make the two elected leaders dependent upon the vote of voters from both communities. In this way, it is thought that unifying trends can prevail within the political system and society at large. The guiding principal of the voting process is ‘one person, one vote’. The elected president would need to secure 50% plus one vote in either of the two rounds of the elections. The same applies for the vice-president. However, given the numbers of the two communities with the GCs amounting to 80% of the population this principle, if applied on nominal terms, this would result in a permanent election of a GC president. Moreover, and probably more important, the GCs would be able to select the TC vice-president even without a single Turkish Cypriot voting for that particular TC candidate. Therefore, a golden formulae was needed that would overcome this barrier. Hence, the leaders agreed that in the case of the GCs their vote will be weighted in order to equal the number of the TCs that will vote for the GC candidate and vice versa. According to this proposal, those standing for election although not on a joint ticket – as provided in the initial proposal of the then GC leader – will need to address the ‘other’ ethnic audience since their votes will count in the result. Given the long history of separation and other practical impediments, this proposal provides for a systemic motive to seek cooperation between candidates and parties, which will extend to other areas as well. Hence, more synergies will be created. Parties and candidates will need to include in their programmes and their campaigns issues important for the other community and propose solutions. For a party or a politician to remain relevant in the federal political system, they must seek for alliances with the ‘other’ community. In the long-run, it is expected that this system will turn Cypriot politics away from ethnic forms of confrontation and towards class and ideological lines of opposition. Those parties and candidates that are not willing to address the ‘other’ community will be gradually sidelined at least with regard to the federal government and institutions. In a context where every vote counts it is assumed that it will provide utilitarian motivation for all political forces and politicians to link with the other community. Although this consensus is yet to be officially agreed, it still remains a possible game changer regarding the future of Cyprus and the peaceful cohabitation/cooperation between the two communities. This entry was posted in Cyprus, Europe and tagged Cyprus on February 7, 2017 by Yiannos Katsourides. The negotiations for the Cyprus problem are entering a new and critical phase. Greek Cypriot leader Nicos Anastasiades and his Turkish Cypriot counterpart Mustafa Akinci have decided to move the process one step further. The two leaders acknowledged that significant progress had been achieved on many of the outstanding issues -mainly those of power sharing and governance, economy, EU matters and property- and they can therefore proceed with talks over one of the most controversial and difficult issues of the Cyprus problem: territorial adjustments. This new phase will take place outside Cyprus in an isolated resort in Switzerland, Mont Pelerin, from 7 to 11 of November with the aim of working exclusively and undisturbedly on bridging the gaps between the two sides and pave the way for an international meeting to discuss safety issues. This new phase is determined by a number of intertwined issues and processes that might equally create a favourable condition for reaching a solution to this long unresolved problem or end up once again in a deadlock. These issues include, inter alia: the developments in Turkey following the failed coup in July that led to increased authoritarianism by T. Erdogan’s government and how this will be reflected in their positions on the Cyprus problem, particularly regarding the most critical issues of this process (safety mechanisms, presence of the Turkish army, guarantor rights); the escalation of the conflict in Syria and Iraq; the easing of the tension between Israel and Turkey as well as between Turkey and Russia; the outcome of the presidential elections in the USA; the resources of natural gas in Cyprus exclusive economic zone; internal political factors and mainly the intense conflict between the political parties in Cyprus. Despite public protests by most Greek Cypriot political parties, President Anastasiades has the backing of his own governing party, the right-wing DISY, and of the major opposition party, the left-wing AKEL; together they comprise approximately 56% of the electorate. Moreover, the UN, the EU and the USA have expressed their wish to see this process through and their willingness to provide support in order for the talks to be successful. Russia also stated its commitment in helping out for a solution although it warned that this solution must be the result of the Cypriots free will and that it should not provide for guarantor rights, the presence of armed forces and accession to NATO. There seems to be an international agreement that the Cyprus problem is on the verge of conclusion. In addition, a few days ago the Cypriot government has proposed to cancel the December 2016 local elections because of the ongoing discussions for reforms at the local level of administration that will see the number of municipalities decrease; a proposal immediately denied by all other parties except the governing DISY. All the above make many people believe that a solution might be within reach this time and this triggers discussions and disputes among the Greek Cypriot political actors. These discussions are dominated by two main concerns: power sharing between the two communities and security; both concerns are further sub-divided in other areas of anxiety. All these, in turn, trigger the ‘fear factor’, i.e., legitimate but also exaggerated concerns over a possible agreement because of the stakes involved; most profoundly the reconfiguration of power structures and mechanisms both between and within the two communities. Power sharing – although not easily admitted publicly by any of the actors – conceals the fears and objections, and at the same time reveals the perceptions and stances of the Greek Cypriot political actors regarding the entering of a new arrangement that will see them sharing their political authority with the Turkish Cypriots. Greek Cypriots are accustomed to governing on their own in a unitary state; the prospect of sharing this power with the Turkish Cypriots in a federal state activates concerns but also resistance. Security factors include broadly speaking two set of issues: economic concerns and safety. The first set of factors involve issues such as the economic cost of a possible solution and how and in which ways the everyday life of the people will be affected; the economic cost of implementing the solution and who will bear this cost; the economic cost of the compensations required for those that properties will not be reinstated, etc. The second set of issues includes questions over the continuation or not of Turkey’s guarantor right to intervene in Cyprus; the presence of Turkish military forces and/or bases; and the number of Turkish settlers that will legally remain in Cyprus. Both concerns are triggered by a number of interlinked factors: a disruption of everydayness; the fear of the unknown; the fear of being relegated in decision making mechanisms; the effect on economic entrenched interests, etc. The opposite reading, however, is also valid: those who strongly support a solution may also benefit economically and politically by it. Most Greek Cypriots wonder whether a possible solution will actually improve their life or will it lead to it being ‘swamped’ by dysfunctionalities and conflicts. The President of the Republic of Cyprus, N. Anastasiades, is arguably in a very delicate and difficult position. Some argue that he is totally committed to a solution and that he will do his best in this direction. His choice of addressing the people two days before going to Switzerland was received as an indication of a preparatory stage for informing the Greek Cypriots about a forthcoming solution. Others argue that with the next presidential elections approaching (February 2018) he will stall the process until he is first reelected. The latter argument is based upon the significant power vested in the presidential office which no president easily surrenders. A possible agreement will signal a change in the power structure and thus threaten the status quo. Regardless of intentions, on the day after Mont Pelerin we will all be in a better position to judge whether a solution is within reach. This entry was posted in Cyprus, Europe and tagged Cyprus on November 7, 2016 by Yiannos Katsourides. On 22 May 2016, Cypriots went to the polls to elect their deputies for the 11th time in the short 56-year-old history of the Republic of Cyprus. There were 543,186 eligible voters and 494 candidates– the most ever in Cyprus’s electoral history, and which corresponded to one candidate for every 1099 voters. There were a total of 13 parties and platforms ranging from the left to the far right and covering niche agendas such as the Animal Party as well as individual candidates. In the end, the elections were basically little more than a fight among the political parties amidst a largely indifferent electorate. It was a fight between big parties and smaller parties; a fight between the two largest parties to secure the lead in the balance of power and in view of the forthcoming presidential elections of 2018; a fight between the smaller parties for survival and for the lead in the so-called middle space; a fight among all parties against abstention; a fight within the parties for who would be elected. The context of the elections was defined by three parameters. First and foremost was the huge crisis of legitimation of the entire political system. Second were the repercussions of the bail-in of 2013, which caused the economy—for the first time in parliamentary elections– to be the most important issue of the elections but not the only one since negotiations for a possible solution to the long-standing Cyprus problem had been revived, bringing the issue into headlines again. Finally, there was the decision to increase the electoral threshold from 1.8% to 3.6% just a few months before the elections. This was a joint decision of the two major parties (AKEL and DISY), an obvious attempt to keep out unwanted newcomers (e.g., the extreme right ELAM) and also limit their losses to smaller parties. This act invited the severe criticism of the smaller parties as they accused the larger, mainstream parties of authoritarianism, criticizing their decision as undemocratic. The campaign was rather short by Cypriot standards and was a far cry from the passionate campaigns of the past. Indifference among the voters was the principal characteristic of these elections; polls indicated that approximately one-third of the voters would abstain. The parties focused on a variety of different issues: the two major parties (AKEL and DISY) stressed the economy in lieu of the Cyprus problem and the ongoing negotiations; this was done to highlight their differences in the face of accusations by the smaller parties that their stances on the Cyprus problem were too similar. Thus, the other parties focused on the Cyprus problem while criticizing the two main parties of cooperation and of making too many concessions towards the Turkish side. This perceived cooperation necessitated, according to smaller parties, a decrease in the total vote for these two main parties. In terms of the results, the most telling story of this election was the high degree of abstention, 33.26%; this sets a record for Cyprus post-1974 and reveals an 11.96 % increase from 2011. This figure is even more important if we factor in the 22,000 (out of the 32,000) youth who were eligible to register yet declined to do so. Although not confined to the younger cohorts, exit polls revealed their turnout to be the lowest. The results reveal that the biggest winners are center-right DIKO and all the smaller parties except EDEK; the biggest losers are the two main parties and especially left-wing AKEL (table). DIKO is the only historical/mainstream party that managed to maintain its seats despite the loss of approximately 13,000 voters; the party also managed to retain its modulatory role in the middle space. Together, the newly founded parties polled 14.26% (including those that did not enter the parliament), a clear indication of voter frustration with the mainstream parties. In contrast, the entire ‘middle space’ –i.e., all other parties except the two big ones– polled 36.73%, a very important development since together they have the largest representation in the parliament. This fact does not mean that these parties are ideologically similar; at the same time, however, their differences should not be underestimated. Their parliamentary representation shows that they can have a considerable say in all future developments on the island, and especially with regard to the Cyprus problem: these parties all profess a more hard-line position, albeit to varying degrees. These elections reveal interesting patterns and offer important insights. First of all, the elections reinforce the trend in Cyprus towards dealignment, which indicates a crisis of representation. Abstention has become a systemic feature of Cypriot electoral politics. However, election results also revealed a partial realignment, with up to 25% of voters, according to the exit polls, changing party allegiance. Second, if we consider the election results in Sartorian terms, the party system of Cyprus seems to resemble the polarized pluralism model. For a second time in its history, the Cypriot parliament houses eight parties compared to only six previously; this has significant implications both for the internal working of the parliament and for the relations between the legislature and the president. In this regard, cooperation and alliances between parties will become more complicated than ever before, which will definitely affect the president’s ability to pass legislation. In turn, this will affect coalition building with regard to the forthcoming presidential elections. Third, the elections also reveal a shift in the Cyprus party system’s ideological center of gravity: the center-right, albeit more fragmented now, has increased its vote share at the expense of the center-left. In 2011 the center-left represented by AKEL, EDEK and the Greens polled approximately 44%, whereas in 2016 their overall share dropped to approximately 37%. The center-right (including the extreme right), represented by DISY, DIKO, Citizens Alliance, Solidarity and ELAM, rose from 51% to approximately 60%. This could be related to, and could also explain, as many scholars argue, the inability of the (center) left to provide feasible alternatives for overcoming the huge economic crisis, which reinforces conservative reactions among the electorates. Fourth, the strength of bipolarism has declined considerably. Although AKEL and DISY still command more than half of the votes, together their vote total 56.36%, down from 66.95% in 2011. These losses represent the price they paid for holding the executive in this turbulent period, which saw both parties failing to meet the expectations of their constituencies. This decrease combined with the increased vote share of smaller and new parties verifies the trend shown in other recent elections, i.e., that Cyprus has entered an era of increased fluidity. Nevertheless, the new parties’ breakthrough does not prove their endurance, which must be tested in consecutive elections. Fifth, these elections are the first in which an extreme, ultra-nationalist, right-wing party garnered enough votes to win seats in the House of Representatives. ELAM, sister party of the Greek’s Golden Dawn, tripled it vote share to elect two MPs. Their presence in parliament offers them an institutional/legitimate channel to air their (populist) views, while their anticipated marginalization by other parties will probably act as a public signifier of their fake ‘anti-systemeness’. In turn, this could help them fuel their propaganda and consequently their electoral fortunes, especially amidst the ongoing negotiations for a possible solution to the Cyprus problem. However, their mere participation in the parliament is also an expression of their incorporation in the political system and their acceptance of the political rules. Finally, the two big parties’ decision to increase the electoral threshold to their benefit not only failed but even backfired. Many analysts now say that this act has created a reverse dynamic against the big parties and actually helped the smaller parties gain seats in the House. This entry was posted in Cyprus, Europe and tagged Cyprus, legislative election on May 30, 2016 by Yiannos Katsourides.